According to legend, the first tango steps were not invented by a guy in a tight suit and an Argentine beauty in a red dress, but by two men. While waiting their turn in the brothels of a late 19th-century Buenos Aires, so the story goes, men would dance together in a close embrace. According to Borges, women were repelled by the dance’s debauchery. 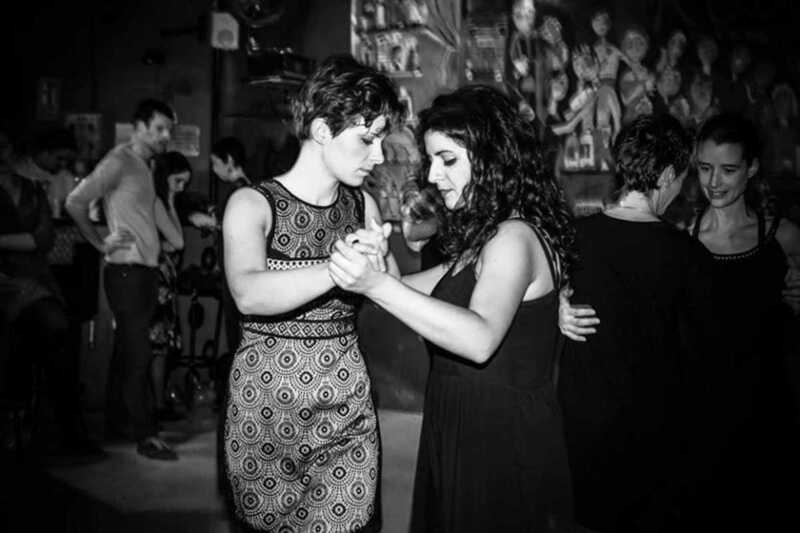 Flash-forward to Barcelona today, which this month hosts the Quilombo Queer tango festival, a festival that revives what are perhaps the dance’s authentic origins. Over five days, spaces around the city will host talks on tango technique, dance workshops, demonstrations and of course evening Milongas. Most talks will be held at La Base (Poble Sec) with Susurro Tango (Gràcia) serving as the headquarters for classes; other events will take place at El Centro Gallego (La Rambla), Espai Erre (Poble Sec) and Le Teixidora (Poblenou), with an opening party on Wednesday night El Rouge (Poble Sec). The events are open to all, regardless of people’s skill level and, it goes without saying, sexuality. It doesn’t matter who leads and who follows. It just takes two to tango.